Another old Flash animation from 2005. 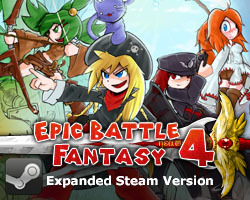 This is pretty much the first version of Epic Battle Fantasy. It actually looked pretty good at the time… looks ancient now. Omg… Brings back memories of back in the day-ness. Epic. 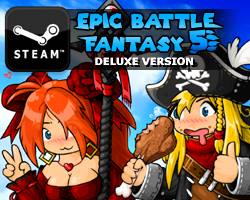 Oh this is the goku on EBF? (Final boss Zombie Goku). d-did ultima just NOT do 9999 damage?? HOW DID THE COUNTERATTACK DO 9999 DAMAGE BUT ULTIMA DIDN’T? ?